Many developing nations have committed themselves to becoming Knowledge Societies in the near future, approving development plans for horizons extended 10, 15 or 25 years, with a view to substantially change their economies. But this implies that most of their citizens will have to be connected to the Internet, and moreover, will have to be qualified users of technologies. The old “digital divide” related to devices and connectivity has been replaced with the new “knowledge divide”, which is about people knowing how to use digital tools productively. In order to become real citizens of a knowledge society, the knowledge divide must be overcome. The language barrier is an issue that still keeps many of these citizens from becoming productive cyber-citizens and enjoying universal access to information. According to UNESCO, languages are potent instruments for preserving and developing culture. New information and communication technologies (ICT) can help not only to encourage linguistic diversity and multilingual education but also to increase awareness and transmission of linguistic and cultural traditions throughout the world, and to motivate solidarity between diverse peoples. However, at present less than one hundred languages are represented in the digital world. Language presence in cyberspace is insufficient in view of the increased importance of the role of cyberspace for access to education and information, and the construction of inclusive knowledge societies. In this article we discuss some of the actions that governments could take – in many cases through their educational systems – to assist in the preservation and propagation of local languages, customs and other elements of their cultural heritage using ICTs. The Internet offers access to a myriad of content from all over the world. But not all content are equal. Some types of content (for example those generated in English-speaking countries) are largely accessible, while local contents in other languages (particularly dialects and indigenous languages from developing countries) can be less disseminated or even non-existent in the digital world. Therefore, if we want to make sure Internet is truly accessible to all and every citizen becomes a knowledge user, issues related to local languages and culturally-specific Internet content should be a critical component in governmental policies and strategies. Collaboratively participate in research and development on, and local adaptation of, operating systems, search engines and web browsers with extensive multilingual capabilities, online dictionaries and terminologies. Also, to support international cooperative efforts with regard to automated translation services accessible to all, as well as intelligent linguistic systems such as those performing multilingual information retrieval, summarizing/abstracting and speech understanding, while fully respecting the right of translation of authors. Fighting the access divide by providing free or low cost Internet access in schools, libraries and community centers. In areas where Internet access is still very expensive or cost of equipment prohibitive, school computer equipment could be used to offer community access in the evenings, and use them for example for training, access to government online portals (e-government), telework, community projects and supporting women and girls. Small communities are in many cases holders of valuable cultural treasures that will be lost forever unless documented. 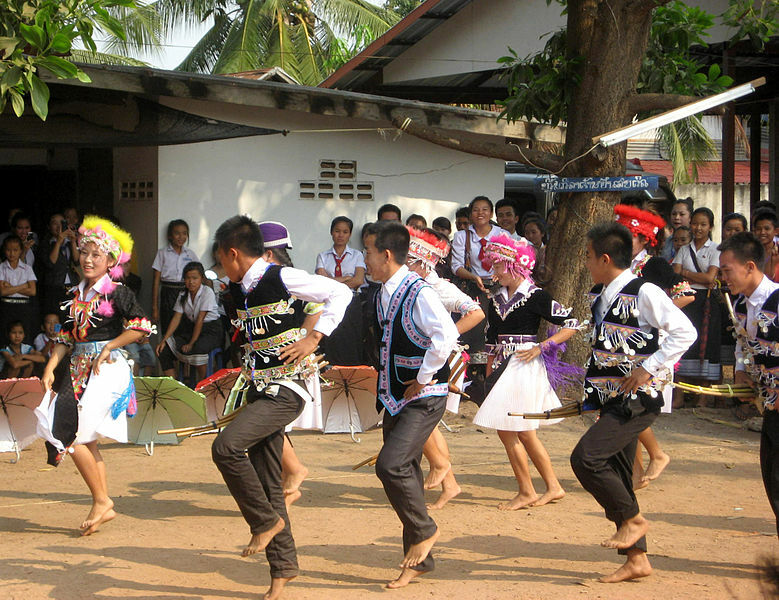 Schools can place a crucial role in detecting and digitizing songs, stories, customs, techniques, art, music, local languages, flora and fauna and other content of immeasurable cultural value. Governments can help by providing schools with digitizing equipment (cameras, scanners, recorders) and training teachers and librarians on digital preservation software. Through competitions schools could collect, classify, store and share with the world valuable content that would otherwise be lost forever. Encouraging in schools the creation and processing of and access to educational, cultural and scientific content in digital form, so as to ensure that all cultures can express themselves and have access to the Internet in all languages, including indigenous ones. Encouraging the creation and dissemination of content in local languages and promoting through the educational system mechanisms for the production and distribution of user and community generated content, thereby facilitating communities access to content in their own languages. Encouraging capacity building for the production of local and indigenous content on the Internet. School based Telecenters can be useful for this purpose, and school teachers, computer technicians and librarians can be trained to become digitizing experts. Encouraging multilingualism in the Internet so that everyone can have access to the most critical content in their own language. For example, by developing electronic translators, dictionaries and language tools for indigenous languages, supporting translation of useful software tools, offering content in government sites in several languages, offering tax incentives and subsidies for the development of content and software tools in local languages, among other possible actions. Schools can play a crucial role in acting as mediators in all these activities. We conclude by saying that there is a need for government strategies and policies that help preserve the cultural heritage at the same time that make sure no citizen is left behind because of his/her language. Schools localized in communities of all sizes have a unique opportunity to become catalysts for this process, being deeply connected with the local culture and having influence over parents and families that can contribute their language subtleties and their own family histories linked to the use of their own language. What the schools need is equipment and training: computers and accessories, specific software tools many of which are free, Internet connectivity, and educated staff that could lead digitizing and classifying activities. Finally, it is worth signalling that in the Event Towards Knowledge Societies for Peace and Sustainable Development, hosted by UNESCO and co-organized with ITU, UNDP and UNCTAD in Paris from 25 to 27 February 2013, which marked a significant step in the WSIS+10 Review process, the “final Recommendations” document states: “The first most important step, especially in countries where many languages are spoken, is to identify, map and survey all the languages. The second step is to document those that require most urgent attention”. For more information on what countries are doing in relation to culture and language preservation, access the UNESCO Consolidated Reports on the Measures Taken by Member States for the Implementation of the Recommendation Concerning the Promotion and Use of Multilingualism and Universal Access to Cyberspace (2007). UNESCO and Multilingualism has other useful resources. Subscribe to get the latest articles from Educational Technology Debate. « How Can Cultural Heritage and Language Be Preserved via ICT? Written by Susana Finquelievich and Roxana Bassi on July 15, 2013 in Cultural Heritage.